We all want the best for our kids. Which means providing them with a healthy environment and making sure they get adequate nutrition. Yet, kids don’t always first reach for broccoli and carrots which makes the job more complicated. 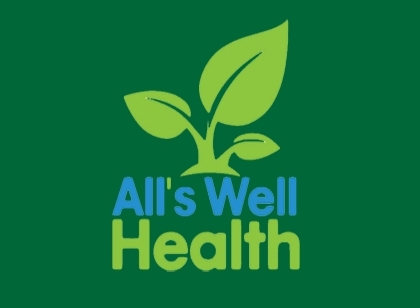 For children to be healthy, they need a balanced variety of whole foods. These include fresh fruits, various veggies, whole grains, beans, nuts, and lean sources of protein and calcium. Processed foods, restaurant meals, and sweetened drinks are loaded with empty calories. Therefore, it’s essential for parents to help their kids crowd out the unhealthy foods from their diets by adding exciting, fresh, and creative options. Soon you can take control of their taste buds and rock their lives with new healthy eating patterns! Why You Need to Supplement Your Children’s Diet. In theory, children should get all the vitamins, minerals, and other micronutrients they need for optimum development by eating the right amounts and combinations of healthy foods. However, most kids today do NOT get the micronutrients they need from what they eat… Not by a long shot! By some estimates, only 2% of kids regularly eat the recommended number of servings of different food groups. The result is, even though the typical American child eats too many calories, he/she is getting suboptimal levels of many key nutrients. 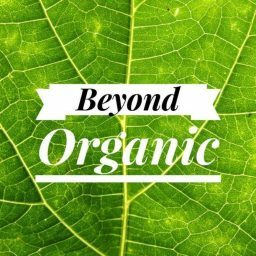 Plus, our soils today are unfortunately greatly depleted of essential nutrients. In addition, they ship many foods long distances; which can destroy nutrients in the process. So remember, the fresher and more locally grown the better. What Makes a Good Children’s Multivitamin? The standard go-to solution is to “make sure they take their vitamins” however, what does this mean? And are all vitamins created equal? If the recent exposures of inaccurate labels and subpar ingredients are any indication, we need to know and do a little more than just grab the supermarket multivitamin. 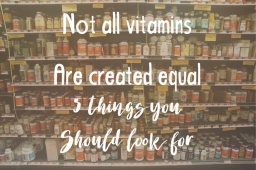 All vitamins are NOT created equal! While we call it a “multivitamin”, what we’re talking about is a multi-vitamin, multi-mineral supplement. In addition to offering growing bodies a complete set of essential vitamins (A, B-Complex, C, D, E, and K), a good multivitamin contains essential minerals such as calcium, iron, magnesium, iodine, zinc, and more. B vitamins are essential for a healthy functioning brain and nervous system and help convert food into energy. They help form protective antibodies and healthy red blood cells. The American Academy of Pediatrics recently doubled its daily vitamin D intake recommendations for babies, children, and adolescents, and recommends supplementation because most children do not get enough from diet alone. (Wagner CL, Greer FR et al. Prevention of rickets and vitamin D deficiency in infants, children, and adolescents. Pediatrics 2008;122:114). In growing children, vitamin D is best known for its role in building strong bones and teeth. Vitamin C is important for tissue repair and immune function and is one of the antioxidant vitamins. Calcium is an important building block for bones and teeth and also beneficial for nerves and muscles. Chronically low iron intake can result in anemia, a condition affecting more than one billion people around the world. Anemia causes fatigue and weakness and can impact brain development in young children. Lots of company’s use artificial flavors in children’s vitamins because If it doesn’t taste good, it’s unlikely you’ll get your children to take their vitamin every day. However today there are many tasty and NATURAL ways to make things taste good. Company’s that rely on artificial flavors aren’t willing to make the effort or pay the expense. There is NO good reason to choose artificial sweeteners as there are many safe ones from which to choose… even when choosing a multivitamin! Many children are sensitive to artificial coloring. Why take the risk? A good company will use natural colorings in their products. Dr. Bruce Daggy is a research scientist and educator for over 30 years, focused on improving the healthcare system via the effective use of nutrition & lifestyle approaches. 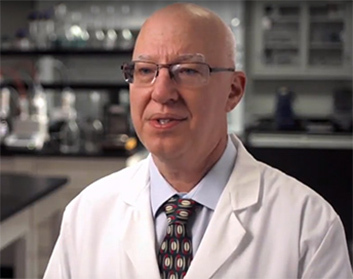 He recently retired as Shaklee’s chief science officer. “Parents need to be aware that many products labeled as children’s multivitamins are woefully incomplete, in addition to containing some ingredients better left out. You really must read the label! As a parent, it’s important to consider the quality and dependability of our kid’s vitamins. We also want something we know will be safe, from a company we can trust that has shown results. Many parents trust a reputable company like Shaklee. Not only do they have a long history of clinically proven vitamins, but its founder Dr. Shaklee also pioneered the first multivitamin in the USA 100 years ago in 1915! Amazing! 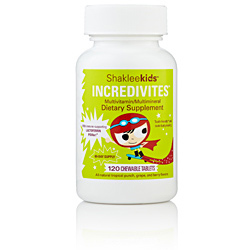 Shaklee’s Multivitamin for Kids: Incredivites. Shaklee Incredivites is the first children’s chewable multivitamin in the U.S with lactoferrin, which helps kids’ immune systems stay supercharged! It provides calcium and vitamin D which are crucial bone-building nutrients and it supports a healthy immune system in kids. Incredivites is loaded with a comprehensive assortment of 23 essential vitamins and minerals. Each serving features 100% of the Daily Value of all eight B vitamins, and vitamins C and E, which play crucial roles in supporting immune function and more. There are no added artificial flavors, sweeteners or preservatives, it’s gluten-free and naturally sweetened with xylitol, which does not promote tooth decay. 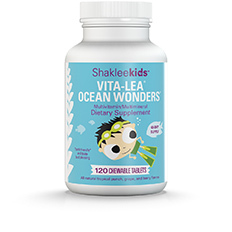 Another great children’s vitamin from Shaklee: Vita-Lea Ocean Wonders. 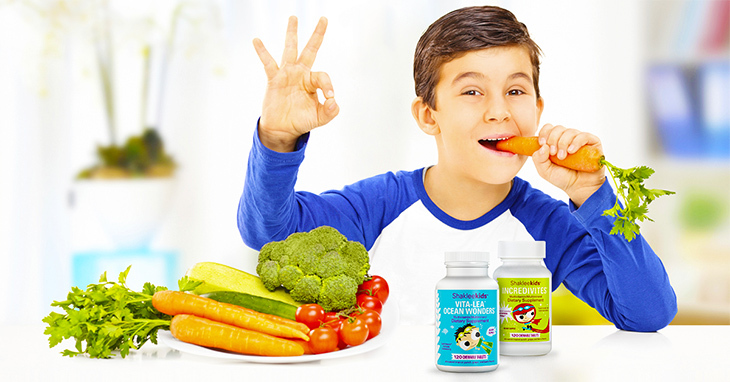 Vita-Lea® Ocean Wonders® is a great-tasting, scientifically advanced and tooth-friendly multivitamin & multi-mineral formulated especially for children. Chewable and sugar-free, Ocean Wonders promotes the development of strong bones and teeth. It provides 100% of the daily value of vitamins C and E, plus calcium, magnesium and more! It features 600IU of vitamin D to help promote strong bones and teeth and is available in all-natural tropical punch, grape and berry flavors. 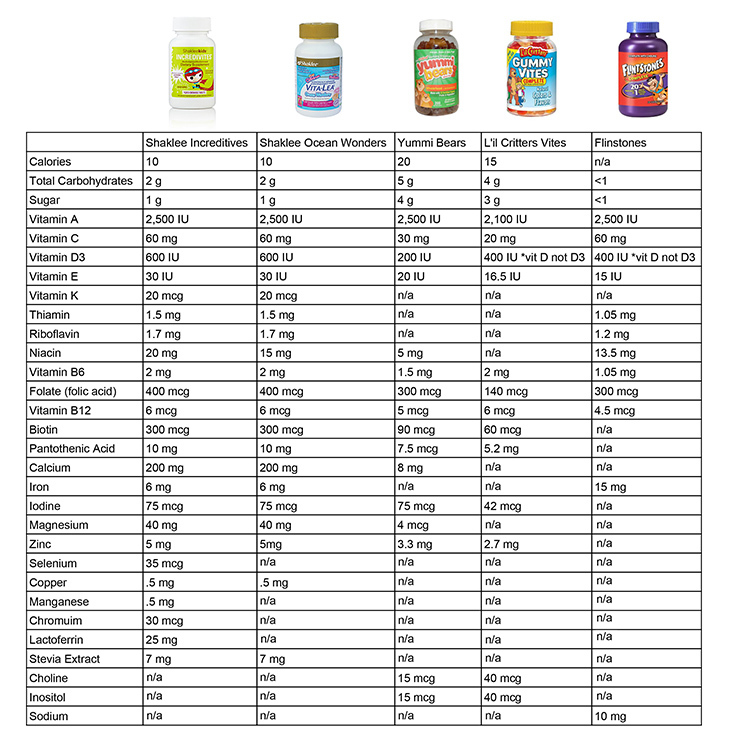 How do Shaklee’s Children Vitamins Compare to Popular Brands? With their on-the-go lives, kids don’t always have time for a sit-down meal. That’s why they need fast food options that are also good for them—choices like low-fat, low-glycemic Shaklee® Meal Shakes. These great-tasting, easy-to-mix drinks pack extra nutrition into any meal or snack. Meal Shakes provide 30% of the Daily Value (DV) for protein and 35% or more of the DV’s for 19 essential vitamins and minerals. They’re a rich source of calcium and also good sources of dietary fiber. 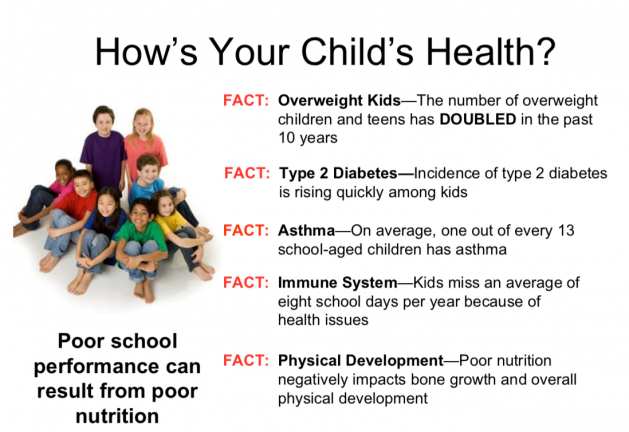 Meal Shakes provide the fundamental nutrients growing kids and teens need to stay strong and healthy. Meal Shakes are a non-soy protein choice. Create a healthy foundation for your kids to learn, play and grow. 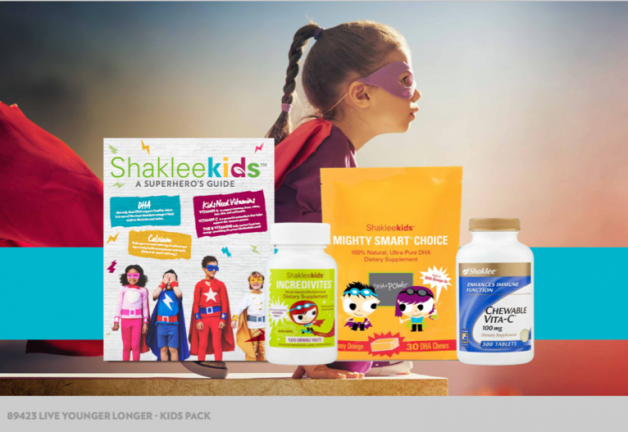 The Shakleekids Power Pack contains a trio of products to help keep your little superhero strong: Incredivites, Mighty-Choice, and Chewable Vita-C. It also includes the Shakleekids Superhero’s Guide, a special color fold-out that has great nutrition information for you and fun things for the kids to do and learn. 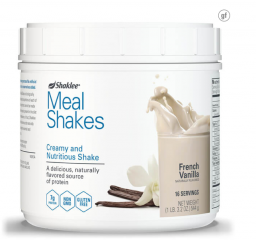 Order Shakleekids Power Pack Here. While many parents are giving vitamins to their children in today’s world, it is important to know exactly what is in what you give to your children. Therefore, we stand behind other parent’s recommendations to use Shaklee’s children’s vitamins. Shaklee children’s vitamins are some of the safest and most effective nutritional products available in the market. Here’s to your children’s health!